Recommendations for when to take probiotics vary from empty stomach to full stomach and from morning to bed time. In this post, I will show how you can get the most benefits out of your probiotics and when they should be taken. Probiotics on an empty stomach? In the same study probiotic yeast saccharomyces boulardii survived stomach acid environment equally as effective with or without food. It is often said that living organisms in probiotics would survive best if taken on an empty stomach because stomach acid levels are lower at that time. But this is not true as was indicated in the study. Probiotics should be taken with food or just before eating as they seem to survive best when carried through the stomach with food mass. It makes sense in the point of view of evolutionary history as well that probiotics work best if taken with food. The human animal that has evolved in the past million years is used to eating foodstuffs straight from the ground with all of the bacteria included and none of today’s sanitation. The human digestive tract and immune systems are optimized to work when constant bacterial exposure is present with foods. 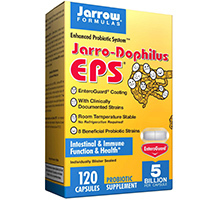 Some probiotics are packed in capsules, which have an enteric coating. This polymer surface, at least in theory, stays intact in the acidic environment of the stomach (pH ~3), but will start to dissolve in the more neutral acidity of the small intestine. These coated probiotics will likely work when taken on an empty stomach, but I still like to them also with food. Should probiotics be taken with antibiotics? Yes. Not at the same time as antibiotics. But – yes, probiotics should always be taken with antibiotics. In the past, it was a common advice to start taking probiotics after the antibiotic regimen. But numerous studies have shown that probiotics should be eaten for the whole duration of an antibiotic regimen and a good time past it’s ending. Probiotics should be taken at least two hours after taking the antibiotics, to prevent the antibiotics from killing the probiotic bacteria. The reduction of beneficial bacteria in the intestines is not the only problem with antibiotics. A big drawback is also the diminishing diversity of different bacteria species. It is good to eat a probiotic that has multiple strains of beneficial bacteria in it. Also, probiotic foods such as sauerkraut and yogurt are beneficial for the preservation of healthy gut flora during antibiotic regimens. Die-off reaction – also known as the Herxheimer reaction – is caused when some substance or therapy is resulting in a shift in microbial ratios or death of certain microbes in the intestinal tract. This kind of damage originating from the intestines is called endotoxemia. Typical symptoms of endotoxemia are headaches, insomnia, depression, anxiety, and nausea. Probiotics can displace and even kill unwanted microbes in the intestines. For some people, this causes die-off reactions. It takes 6-10 hours for the probiotics to reach the colon, where they do their work. 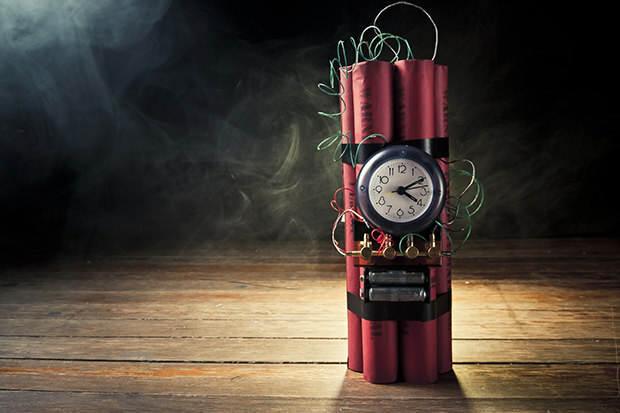 This is usually the time when the die-off reactions begin. 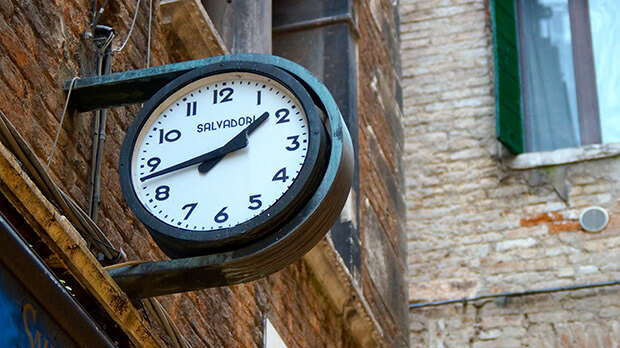 If die-off-reactions occur, it’s beneficial to try to take the probiotics at different times of day and observe the responses to the varied timings. The afternoon may often be a good time to take the probiotics so that you will be resting or sleeping at night when the probiotics hit the colon and face off with the unwanted microbes. I recommend this effective multi-strain probiotic. 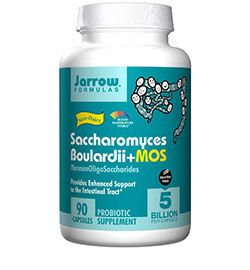 Jarrow also has a high-quality Saccharomyces boulardii probiotic. When talking about healthy gut bacteria levels, prebiotics, the fibers which feed probiotics, are also important. If you are interested, check out my post about GOS prebiotics. Does Garlic Work as an Antibiotic? If you enjoyed the article, you can follow the blog on Facebook or subscribe to our newsletter to get email notifications when new articles are published. Thanks for the tips! I have taken Prescript Assist for three weeks. I started with 2 capsules a day but had to change it to one capsule a day because of die-off headaches. I will try the afternoon timing. I’m glad the article was helpful, Annie! Yes, Prescript Assist is a powerful probiotic. Some people even start off with a half or a quarter capsule once per day.